In-depth FMOD sound design implementation, including atmospheric distance effects, realistic prop effects, etc. 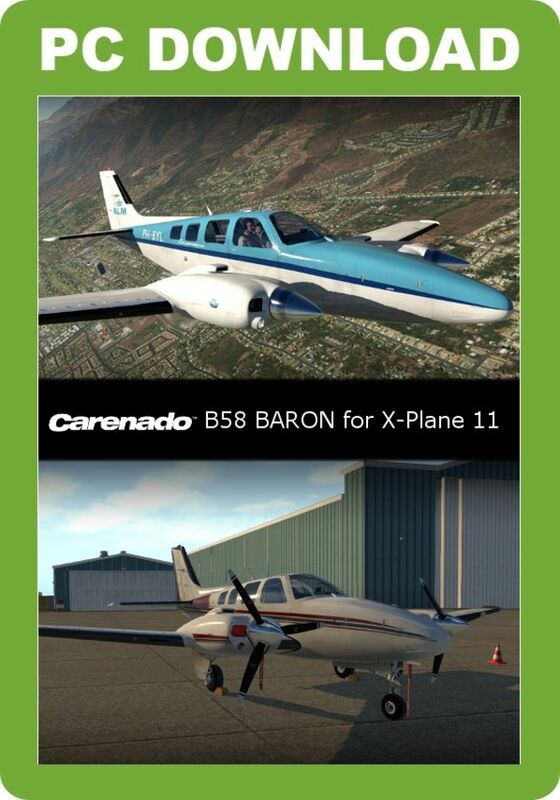 Carenado's B58 Baron for X-Plane 11 comes in four paint schemes and features 4k PBR graphics throughout, custom Bendix King KFC 225 autopilot with detachable pop-up window, RealityXP GTN750 support, Librain rain and icing effects, FMOD sound implementation and extensive VR support. The engine and propeller design have been completely re-authored for XP11.30’s new engine model and the flight dynamics reworked for the latest improvements in XP11.30.